Some of you may know that a variety of my handmade cards are available to purchase from Funky Homes in Liverpool Street Hobart. I'm absolutely thrilled to have such a fabulous store stocking my cards! 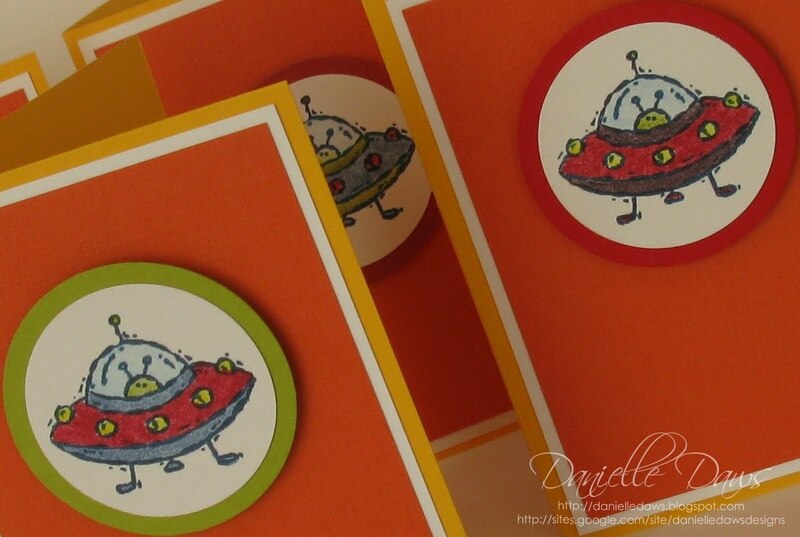 So I thought I'd share a few gift cards that I've made for Funky Homes recently. I've used a retired Stampin' Up! set called Toy Box for these cards - it's such a gorgeous set! And then I used Stampin' Up! markers and an aquapainter to watercolour the images. I think they're cute. What do you think? Click HERE to see my Stampin' Up! website. 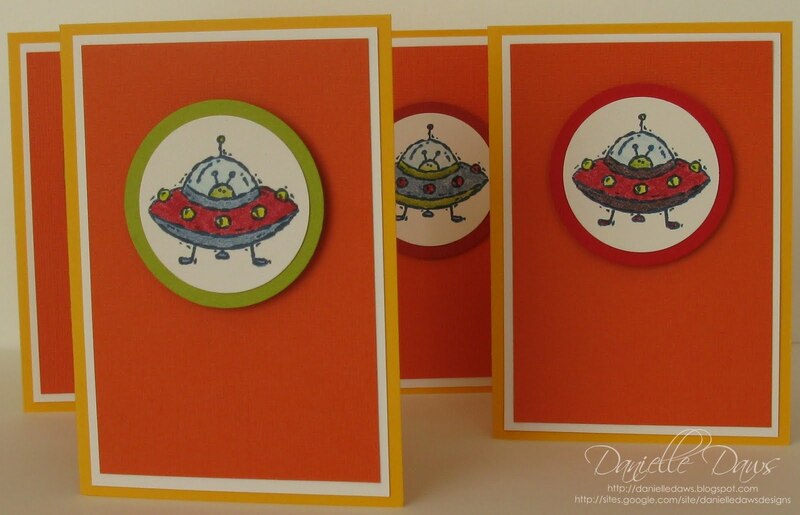 I'm a big fan of the flying saucers! Yes, these definitely scream 'cute'! Great colouring! Just popped in to sat hi from one Taswegian to another. 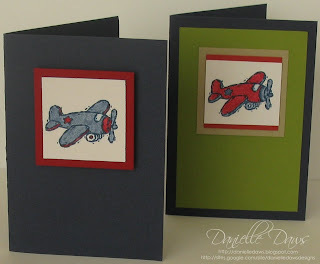 Very, very cute...by boys would love these cards!